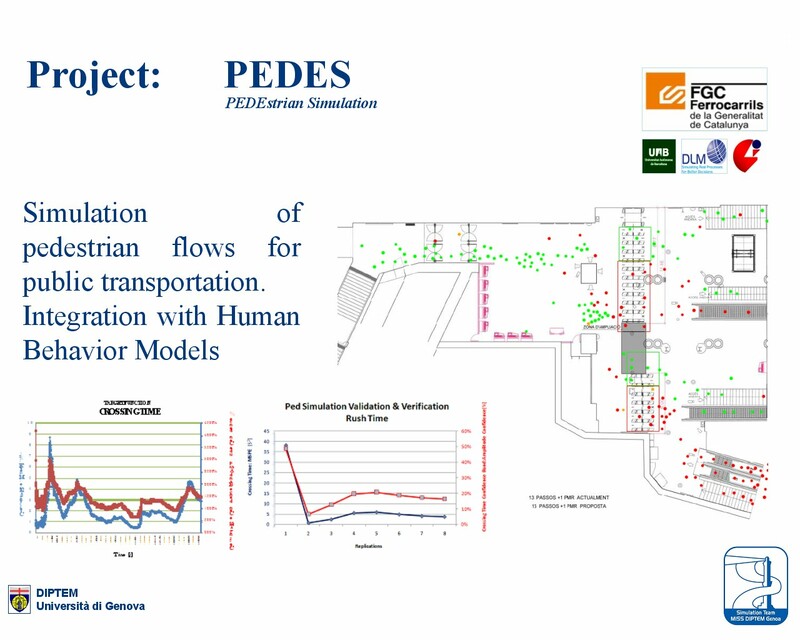 Simulation of pedestrian flows for public transportation. Integration with Human Behavior Models. The project was completed for Barcelona Mass Transportation Company under coordination of DLM-Solutions and UAB, MISS Center in Barcelona in joint cooperation with Simulation Team.